I read this article and found it very interesting, thought it might be something for you. The article is called July Bitesize: Food Trails, Pop-Ups & Competitions and is located at https://www.totallydublin.ie/food-drink/july-bitesize-food-trails-pop-ups-competitions/. Fancy meandering your way through the dog days in Dublin city, taking in a range of delicatessens, speciality shops, bakeries and street markets as you go? 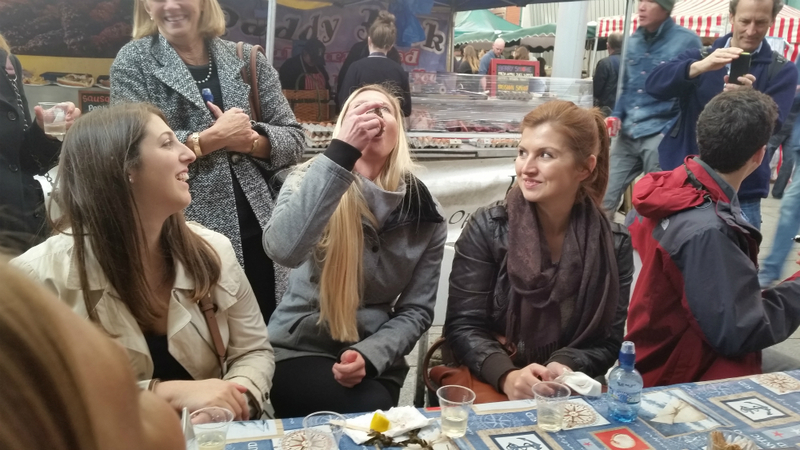 July is the perfect time to check out The Dublin Tasting Trail, a walking tour with a difference, where you’ll meet meet a variety of artisans maintaining age old family traditions as well as new arrivals to the city’s food scene. Learn a little about the culture and history of Dublin’s neighbourhoods as you sample traditonal and contemporary Irish produce and get the inside scoop on the best of what’s happening food-wise in Dublin. The Irish Food Writers’ Guild recently announced an exciting new annual award to celebrate the efforts of those individuals, businesses or other organisations involved in food and embracing the ethos of social responsibility in an outstanding way. Likely contenders include community kitchens or gardens, food education projects, food businesses donating a portion of their profits back to the community and ethical food entrepreneurs, chefs and retail businesses. Projects should have a positive relationship with the community in which they operate and be both well managed and transparent. Nominations are open until Friday 31st July. See www.irishfoodwritersguild.ie for further details. Over the past few years food has become an increasingly important part of every festival, so much so that this month’s Laya Healthcare City Spectacular has a whole street dedicated to it. Eat Street at the Food Village in Merrion Square features over 30 different vendors, each serving up an array of international specialities including German bratwurst, Thai noodles, Indian curries and Spanish paella, while the more traditional burgers, fish and chips are also on offer. For those craving something sweet there’ll be handmade fudge, chocolate fountains and filled crêpes, not to mention that hardy annual of Irish summers, the 99.